GREATER Western Sydney (GWS) Giants came so close to a Grand Final last season, with their fate up in the air up until the last round. With some key losses like Maddie Boyd, Phoebe McWilliams and Renee Forth ahead of the 2019 AFL Women’s season, the Giants will need some young talent to go one step further this year. 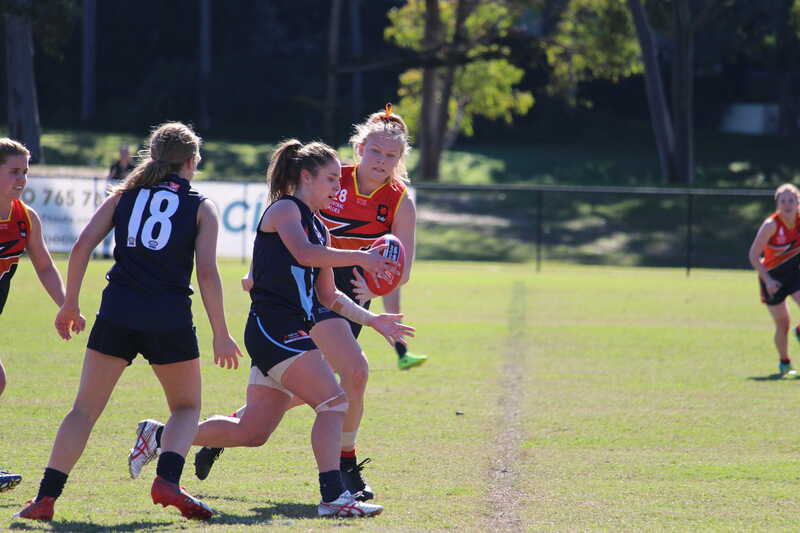 The Giants are likely to take New South Wales (NSW) Most Valuable Player (MVP) at this year’s AFL Women’s Under 18 Championships, Alyce Parker. Parker has been one of NSW’s most dominant players throughout her whole Under 18s career, playing through the midfield and up forward when needed to. A midfield trio of Parker, Courtney Gum and Amanda Farrugia could be a threatening prospect for the rest of the competition. Murray Bushrangers defender, Eloise Ashley-Cooper is another player who could earn a spot at GWS. Ashley-Cooper spent some time in the TAC Cup Girls playing for Murray but has represented NSW at a representative level. She is a classy defender who could complement the likes of Tanya Hetherington and Pepa Randall. Alexia Hamilton is another one who will likely be on the minds of the GWS recruiters. She is a known goalkicker and a smart footballer who can play consistently well over a stretch of games. THE NT Thunder was one of the most dominant sides of the Victorian Football League (VFL) Women’s season. The Thunder suffered a shock exit in the finals but nonetheless should be proud of a remarkable debut season in the VFLW. The NT Thunder captain was a dominant force in the midfield and was rewarded for her efforts. She came third in the VFLW Best and Fairest and earned a spot in the Team of the Year. Foley consistently racked up high number of disposals, highlighting her ability to find plenty of the footy during the season. She had an impressive game in Round 1 when she gathered 30 disposals, kicked a goal, took five marks and laid three tackles. The Greater Western Sydney (GWS) forward was a key player for the Thunder this season. She was able to out-muscle opponents in the forward line and could also float into the midfield to gather some key possessions. This versatility earned her a spot on the interchange bench in the VFLW Team of the Year. She too had a standout game in Round 1 with 31 disposals, two goals, five marks and three tackles. Forth’s excellent season in Thunder colours saw her move over to the Adelaide Crows for the 2019 season. She impressed with her high football IQ and ability to get in the right spots to get the ball. Like Swanson, she was a versatile player who played consistent football throughout her 12 games. One of her best games was in Round 11 when she racked up 18 disposals, five marks and three tackles. Rajcic was a player that dominated all over the ground for the Thunder this season. Her marking was quite impressive, as was her long kick. Her run and carry was also a key attribute of her game. Rajcic kicked 11 goals from her seven games for NT. One of her standout games was in Round 1, when she kicked 3.4, gathered 25 disposals and took eight marks. 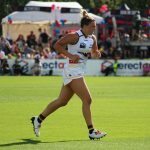 Sedunary came fifth in the VFLW goal kicking tally with 15 goals from 11 games. She also earned a spot in the VFLW Team of the Year thanks to her liveliness in the forward line and her excellent goal sense. Sedunary’s strength and fitness stood out as she inflicted her powerful run and carry on opposition sides. She was the star of the day against Geelong, kicking four goals, gathering 17 disposals and laying three tackles. The Thunder recorded the biggest percentage of the VFLW season after some big winning margins throughout the season. 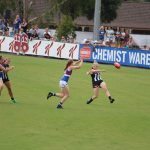 The side was one of the most dominant outfits of the season with plenty of AFLW contingent suiting up in the VFLW season. 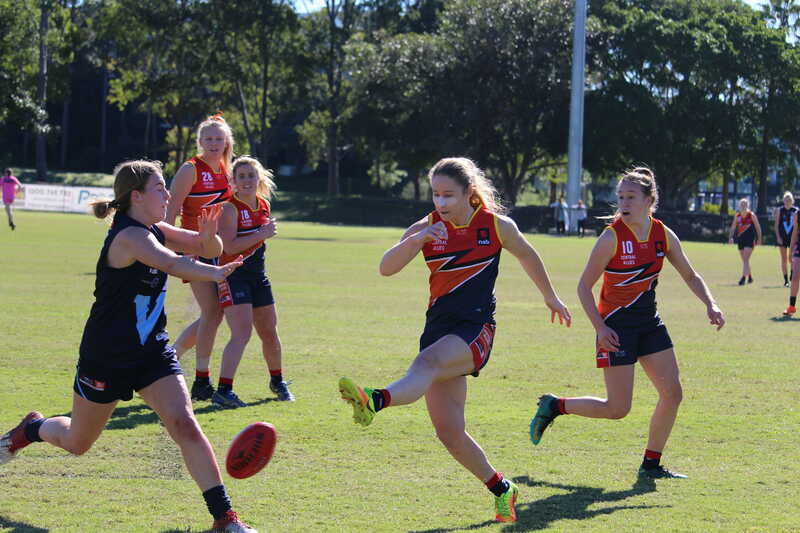 Homegrown talent like Tayla Thorn, Lateesha Jeffrey, Tahlia Holtze, Kylie Duggan and Kristy Irvine also showed good signs during the year, signalling a bright future for the side. ADELAIDE heads into the 2018 AFL Women’s Draft with six available spots on its list. The Crows have retained the majority of their side, and have added GWS GIANTS’ Renee Forth and Carlton’s Sophie Li, the latter of whom has returned to South Australia for work. They have also picked up two cross-coders in Ailish Considine and Maisie Nankivell who slot in as international rookies. With 2017 AFL Women’s League Best and Fairest, Erin Phillips to be back at full fitness, the Crows loom as a dark horse in the premiership race, but could still do with filling some important spots in their 22. 8, 30, 37, 41, 48, 53. Georgia Bevan was delisted due to minimum numbers needing to be upheld prior to the off-season movement period, but having played all bar two matches since the first game of AFL Women’s, she is one who would have to come into consideration to be re-drafted. From those invited to the AFL Women’s Draft Combine, midfielder Nikki Gore looms as the obvious selection for the Crows, having had an outstanding season at state level, and represented Central Allies at the AFL Women’s Under 18 Championships. Her state teammate, Katelyn Rosenzweig has been prominent in front of the big sticks with multiple leading goal kicker awards, and expect her to work in tandem with Sarah Perkins up forward. Northern Territory product and exciting forward, Danielle Ponter is another player who earned a National Draft Combine invite, and it will be interesting to see where she nominates, having played for Essendon in the Victorian Football League (VFL) Women’s, but falls under the Crows’ zone. Likewise, Janet Baird is a Northern Territory talent who has had experience playing for NT Thunder in the VFL Women’s. A potential option raised by Women’s Australian Rules Football (WARF) Radio’s Peter Holden, was Chloe Scheer, who similar to Gore, was no stranger to awards before injury struck. Now an over-ager, Scheer could be an out of the box option if she has recovered and chooses to pursue the career. WITH only two weeks left of the Victorian Football League (VFL) Women’s Competition, teams are fighting for a chance to play in the finals. Most teams have made minimal changes this week and are trying to create some momentum to finish the home and away season off strongly. Round 15 looks like another important week in the VFLW competition, kicking off with the Western Bulldogs taking on Melbourne Uni. The Western Bulldogs take on Melbourne Uni this weekend and have made four changes for the occasion. After their disappointing loss to Hawthorn last weekend, the Dogs have brought in AFLW premiership player, Hannah Scott to help guide the team to victory. Also included this week are Rachel Ashley and Nicole Paul. Coming in as the 23rd player this week, the Dogs have also named the young Aleshia Bettels to make her debut in the red, white and blue. The Dogs might have brought home the win in their last encounter, but this week Melbourne Uni will be hoping to back up its Round 14 victory to turn the tables. The Mugars have also made four changes ahead of the clash, bringing in Bendigo Pioneers graduate, Aisling Tupper, Mietta McDonald and debutant, Jacinta Limbrick. Limbrick comes into the VFLW side after being part of North Melbourne’s Tasmanian Senior State Academy and impressing in the Tasmania State League (TSL) Women’s competition. She kicked 24 goals from 12 games this season. The Magpies continue to make plenty of changes in the final weeks of the home and away season. After their narrow loss to the formidable NT Thunder outfit in Round 14, they will be desperate to stay in second spot on the ladder with a couple of teams on their toes. AFLW talent comes in and out of their side this week with Emma Grant and Steph Chiocci taking to the sidelines while Eliza Hynes and Chloe Molloy fill their shoes. Also named in are Gabrielle Biedenweg-Webster, Amy Malander, Elise Korteman and Erica Fowler. Coming up against the Pies this week, the Saints have made three changes going into Round 15. Vic Metro representative, Gabriella De Angelis has been selected to play this week, alongside Meg McDonald and TAC Cup Girls leading goal kicker, Holly Bate, who has been named as the 23rd player. Coming out of the side this week are Keely Fitzgerald, Jasmine Tait and Selena Karlson. Former Diamond Creek player, Maddy Collier and Oakleigh Chargers ruck, Bridie Winbanks are the only inclusions in Essendon’s side going into Round 15. Their side will face Williamstown this week where three new VFLW rules will feature. Williamstown will be looking for back-to-back wins after its triumph against Richmond last weekend. The Seagulls have made two changes for the clash at Windy Hill, welcoming back Rachel Achampong and Erin Meade who have both recovered from injury. Ashlea Melnikas has also been named as part of the interchange. Belinda Hateley and Jamilla Cranny have both been sidelined due to injury. 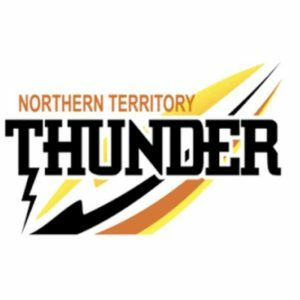 The NT Thunder will be celebrating its last home game for the 2018 season in Round 15, and a host of local talent has been brought back into the side. AFLW talents take over the Thunder’s line up, with Renee Forth, Abbey Holmes, Marijana Rajcic, Courtney Cramey, Jessica Allan and Emma Swanson all being selected to play. Midfielder, Kristy Irvine has also been named in the squad this week, alongside Northern Territory Under 18 representative, Janet Baird, Lateesha Jeffrey and Tahlia Holtze. Hawthorn has made only one change going into Round 15, bringing in Mikala Cann for Emily McIlvena. Cann was named as one of the 36 players invited to the AFL Women’s Draft Combine, and will be a key cog in the midfield for this exciting battle. Darebin, who is sitting just outside the top four, has made some important changes ahead of its match-up with Carlton this weekend. Some big names have been called to the sidelines in Jessica Dal Pos, Hannah Mouncey and Nicole Callinan. However, plenty of talented fresh legs will be taking their place. Vic Metro defender, Lauren Szigeti comes in this week alongside Anna Morrow, Lena Skipper and Esther Honybun. Chelsea Delbridge has been named as the 23rd player. Returning from its Round 14 bye, Carlton has made three changes to this weekend’s line-up. Former St Kilda Shark, Danica Pedersen returns to the side this week and she will be joined by TAC Cup Girls duo, Isabella Gietzmann (Oakleigh Chargers) and Mika Suzuki (Northern Knights). The Casey Demons will be looking to bounce back after their loss in Round 14 but will be faced with the hard task of taking on the in-form Geelong Cats, who are sitting just inside top four. For the clash, the Demons have named six key ins including Shelley Scott, Amy Harrison, Kasey Guttridge, Shae Sloane, Marlee Tatham and Holly Bailey. On the other hand, AFLW trio, Katherine Smith, Kate Hore and Catherine Phillips alongside Jemma Turner and Lorianne Lowerson have all been named out. Geelong, who is sitting just within finals contention, will be fighting hard for two straight wins in the final weeks of the regular season. Coming off last week’s big win over Essendon, the Cats have only named three changes to their squad. Vic Country key defender, Georgia Clarke will be a welcome addition to the side this week, as will Jordan Ivey and Courtney Stevens. ESSENDON has finally recorded its first Victorian Football League (VFL) Women’s victory, getting over the line against Richmond in Round 9. At the other end of the table, Geelong suffered its second consecutive loss, this time at the hands of a rejuvenated NT Thunder outfit. This leaves the red-hot Collingwood remaning at the top of the ladder, looking unstoppable at the minute. James Halley and Carly McClen watched two of the big games on the weekend. She was able to cap off a good game with two goals late in the last term, which were both great majors on the run. She had a wonderful captains game as she led from the front with 18 touches of her own as well. She convincingly won her ruck duel against Maddy McMahon. She scored a goal in the last quarter after being able to penetrate a long kick out of a pack on the arc. McCormick was a presence up forward with three goals. Her second goal was a monster of a kick with a set shot from 50 metres out making the distance. Her third was a case of her being in the right place at the right time, highlighting her good positioning on the day. Forth was instrumental in the back line with many intercept possessions and beating her opponent convincingly. This was evident as she was able to pick up 17 disposals and with 14 of them being kicks, It shows that the team trusts her to distribute the ball from the back half. Sedunary was the difference between the two sides with her brilliance up forward. She kicked three first-half goals and one final term major with all differing difficulty. Her fourth was a real highlight as she managed to stream down the centre and kick a beautiful running goal. After a 50 metre penalty, she was able to convert from a set shot for Geelong’s first goal of the game. She has really strong hands and presented hard all day at the midfielders distributing the ball forward. Cranston was able to finish with a goal in a passage of play in which she took the initial clearance. She was able to use her football smarts and dribble the kick along the ground to avoid oncoming opponents. She gathered her fair share of the ball as well as she finished with 20 disposals. Her leg speed was utilised over and over by Geelong, as she was not afraid to take the game on time after time. Being the 23rd player will give her some experience and confidence that she will hopefully be able to build on in the future. Keryk was Geelong’s best midfielder for the match finishing with 23 disposals. She was at the bottom of packs all day trying to win the ball for Geelong. Shone in her club debut with two goals in the second half. Showed poise in losing her opponent to take strong marks and nail a set shot that never looked like missing from a difficult angle. Set up a goal with a clever pass to half forward, Gabrielle Biedenweg-Webster for the Pies’ final goal. Took strong marks at the right times and was able to read the movement of play well. Got into good defensive positions to block the many inside fifty attempts by the Falcons. A strong player who took marks at crucial times when Darebin were pressing hard in the first quarter. Made an impact to hold Falcons scoreless in second term. Played a solid ruck role. Delivered a goal from just inside 50. Talented player to watch. Read the play well and got space to take important marks and hit targets in kicking. Took important marks and was pivotal in absorbing Darebin’s pressure, particularly in first half. Hunted the footy all day and was pivotal in her role in stopping the Falcons movement, particularly in first half. Kicked a goal late in the first quarter and is a talent to watch. Was well held by Pies defence. She was busy in the first half and able to absorb pressure from Collingwood to hold them scoreless in second term. Kicked a goal late in the third quarter. Played her role well under immense pressure from Collingwood. Busy for four quarters and played her role well. Another player who was pivotal in holding back the Pies’ attack in first half. THE Victorian Football League (VFL) Women’s competition has a new ladder-leader, as Geelong succumbed to its first loss of the season to lose the privilege. This gave top spot to Collingwood, who in the process handed the NT Thunder its second consecutive loss. At the halfway mark of the season, the competition is starting to take shape, and we watched three games on the weekend to see how some of the action panned out. Led well to the footy and took a great mark lace-out on the chest. Her on-field leadership is evident. Portlock had some good moments in the red and black. She did well to smother the ball off her opponent’s boot. Portlock was good defensively as she bumped her opponent and contested well with another running opponent to send the ball out of bounds. Laid an excellent bump on Katherine Smith, showing that she’s not afraid to go against experience. Mackrill showed courage again when she took on her opponent and did it well, kicking the ball long down the line and penetrating it forward. Showed great awareness to spot her opponent playing on quickly, as she then won the ball back for her side by laying a great tackle. Neaves also laid a great smother while being held by an opponent to send the ball out of bounds. Laid a great tackle while her opponent was off and running and was awarded a free kick for her efforts. Her forward pressure was outstanding as she still managed to push her opponent under the ball and put pressure on Aliesha Newman when she was ducking and weaving. The ball eventually spilt to Danielle Ponter who got her second goal of the day, thanks to Heil’s efforts. Showed a ‘never say die’ attitude when she tapped the ball along, chasing it through the whole 50 metre arc. Moreau got reward for her effort in the next passage of play with a soccer off the ground in the goal square, converting Essendon’s first of the day. Also delivered a nice kick to Courtney Ugle on the outside, showing good awareness of her teammates. Good return to the side with two goals, which were both snaps. Ponter was lively in the forward line and read the play well. Smith got three early touches in the space of a minute, and you just knew she was in for another big game. She was able to deliver a good handball while being tackled, demonstrating strength in the contest. Smith showed nice run and carry and followed it up by executing a good effective kick to hit up a teammate. Brilliantly picked up a loose ball that bounced over her head and then ran into the space. Also did well defensively, which was shown when she laid an excellent tackle to stop Essendon captain, Lisa Williams on the run. Took a good mark and then delivered a nice kick down the line. She contested well wherever she was, shown by her taking a great intercept mark at the top of the 50 metre arc to send the ball back forward for Casey. Jakobsson marked everything that came her way at RAMS Arena, clearly not fazed by the wet and slippery conditions. Her intercept marking was a highlight as usual and her overhead marking was superb. Delivered a good underground handball in a contest, showing her determination to get the footy forward. Jakobsson executed a great spin and kick while she was right near the boundary line, which I thought was a highlight of her game. Laid an excellent tackle to stop Courtney Ugle in her tracks in what was a great defensive performance by the Melbourne AFLW player. Phillips displayed good run and carry throughout the game, always looking to play on with the ball in hand. Executed a great follow-up after she dropped the mark by getting a quick handball out to a teammate on the outside. Displayed great acceleration with the ball in hand on the boundary line. I thought Shevlin was one of Casey’s best players on the day. She delivered a nice kick to the top of the square that set up Casey’s first goal of the day, which allowed her forwards to run onto the loose ball. She also beautifully pinpointed a kick out of the centre square that traveled all the way to the forward pocket into the hands of Taylor Mesiti, showing her ability to create forward thrusts for the Demons. Shevlin got a lot of the footy and used it well, demonstrated when she gave off a great handball while being tackled. A highlight of her game was when she kept running hard after she received a handball to take a great overhead mark down the line. Bentvelzen took some great marks inside 50 and did well to assist her teammates, as she often drifted up the ground. Took a mark about 45 metres out and lowered her eyes, spotting a great option in Eden Zanker and spearing it perfectly towards her lead. She wasn’t afraid to push back to defence and help out when needed. She was the Tigers’ best midfielder in my opinion with 26 possessions. After claiming a kick that found itself out of bounds on the full, she kicked a great set shot from the boundary in one of the goals of the day. Dominated in the ruck and around the ground. She was also a threat in the air and managed to take five marks for the day. 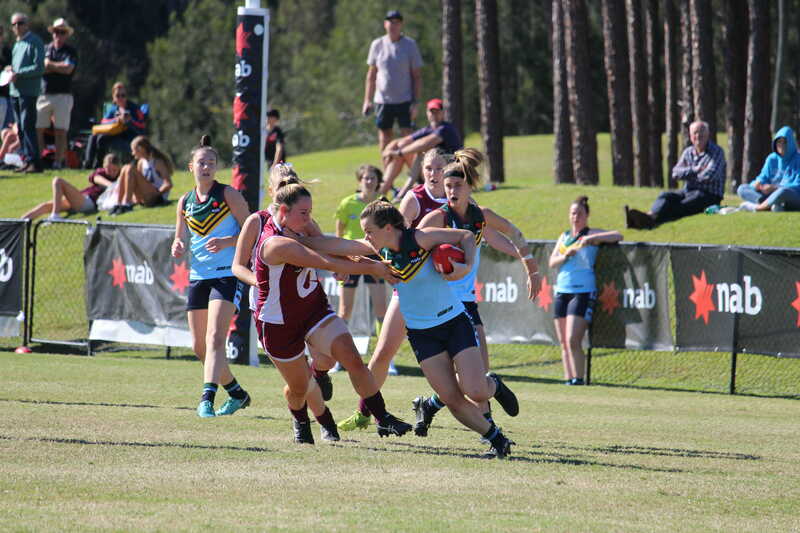 After receiving a handpass from Kate Dixon, she found herself in some space and kicked a goal on the run from 20 metres out. She has pace to burn and she used it to her advantage to dispose of her opponents out of a ball up and have a shot on goal, which hit the post. She manages to get a fist in many contests and halve the contest. She saved a goal in a one-on-one battle in the second term on the goal line, which was a highlight of her game. After taking the advantage from a holding the ball decision, she burst inside 50 and scored an easy goal for Hawthorn. In this instance, she displayed her elite game awareness. Although she didn’t have as much ball as she has had in the past, she had important moments and touches that were vital for the Hawks. She is a rock down back and took many intercept marks. She had a very nice kick and was able to pinpoint passes through the middle. She read the ball better than her opponents on many occasions. She has really good hands, shown when she took a one-handed mark in the first term. After a great pass from Jade Barnden, she was able to snap a goal in congestion. A highlight of Hutchins’ game was when she kicked a wonderful goal from the boundary in a display of class. She was also really prolific for Hawthorn with 22 disposals. She was able to kick the first goal of the game through getting the ball out of the back in the goal square, using her speed to her advantage. Took a great leading mark inside 50 and was unlucky to miss a long range shot at goal. Also showed nice hands in defence when she took a good intercept mark in defence. Hewett ran well on the boundary line in a passage of play in defence, which got the ball out of danger for her side. Riley played a team role on the day, often playing the role as the link in the chain. Came and helped out a teammate who had to deal with a ducking and weaving Sarah D’Arcy. Riley came in and put pressure on D’Arcy and caused her to turn it over. Also picked up the ball well off the deck and ran into space nicely. Always wanted to keep the ball moving throughout the game, shown through nice kicks and good running. Executed great run and carry with the ball in hand and then did well to keep running after her efforts to win it, demonstrating good second efforts. Jones delivered an excellent long kick down the line, and followed this up with a great flying attempt for a mark. Did well to trap it in a stoppage and win a free kick for a shot on goal. Read the ball well on the day. She was able to get a great clearance through the middle of the ground and tried to create a lively presence up forward. Accelerated well and had a great clearance. Cramey was able to move the ball well through the ground and made an impact in the middle. She did well on many instances to keep the play calm in the most dangerous spot of the ground, avoiding turning the ball over in the corridor. Cramey also shared the ball well with her teammates on the day with her quick and clean hands. McCormick was lively up forward and loved to take the game on. Laid a couple of great tackles, showing her intent to win the footy, Her kicking was good on the day, often hitting a teammate or finding space for them to run into. Molloy was a star for Collingwood and if it was not for Sophie Alexander’s four goals, she was best on ground in my opinion. Picked the ball up off the deck swiftly and kicked it well into space. Was able to fend off a couple of players and accelerate into space in the back line then kicked it into space for her teammates to utilise it. Delivered an excellent kick out of the middle of the ground that landed right in the hands of Cecilia McIntosh. Molloy showed good initiative to kick the ball off the ground after a string of handballs caused congestion, demonstrating her high footy IQ. A highlight of her game was when she took a sensational intercept mark in defensive 50, as she hid herself behind the ball in the goal square and claimed the mark cleanly. Read a kick out of full back brilliantly and took a fantastic overhead intercept mark. She followed this up by delivering a perfect centering kick after that slipped through her teammates’ hands. Molloy also gave off a great handball under pressure, showing that she was able to use the ball well almost every time she got it. Delivered a lovely kick down the line and took a good intercept mark in a matter of seconds later. Whitford executed a nice centering kick off one step under pressure, showing her knack of getting the ball and just kicking it when she needs to. Took a good mark and followed it up with a nice long range kick to find a teammate in the middle of the ground. I thought McIntosh had the best set of hands on the ground. Whether it was a contested mark or letting the ball float into her chest, she always put herself in good positions to mark the footy. Did well in general defensively, which was shown by a great tackle that set up Collingwood’s first goal of the day. Also displayed excellent run and carry and followed this up with a great kick to the top of the square. Ross took a good one-on-one mark and did well to lower her eyes and find Leah French in space inside 50. Her side-step was a highlight of her game, and she used it to effect on two occasions in particular. In the first instance, this display of agility found a teammate inside 50 and on the second instance, it helped to calm down play for the Pies. Pushed her opponent under the ball later in the game, demonstrating an excellent ability to get it into space. Delivered a great kick down the line to slow down play for the Pies. Had a great snap at goal, and was generally lively with the ball on hand. Stratton also took a great one-on-one mark and did well to play on quickly and get it forward for her side. Sophie Alexander was best-on-ground for the Pies in my opinion, as her four goals were game-changing. She also did the little things such as when she took a great contested intercept mark to make up for her missed attempt at goal. In another instance, she initially shepherded an opponent for her teammate to run onto the ball, but then did the hard work herself. Alexander did really well to push her opponent under the ball, and followed it up by kicking a goal from outside 50 off one step. She showed that she can certainly kick the ball a long way as nearly all of her goals were from just inside 50! Her best goal was when she remarkably kicked a major from the boundary line from about 50 metres out. Alexander was never afraid to take it on and did the team thing whenever she was needed to. This was shown when she led well to a Chloe Molloy kick from outside 50 and was rewarded for her efforts with a goal. Also demonstrated good agility when she executed a great spin around her opponent and centering kick to Iilish Ross in the middle of the forward 50. Edwards was solid for Collingwood throughout the day and never seemed to over-use the ball. Demonstrated excellent acceleration when she took the ball under her arm and kicked it long into inside 50 space from the centre square. Also delivered a great handball in space under pressure in defence. A highlight of Edwards’ game was when she ducked and side-stepped around her opponent to get the ball free. Followed that effort up with another great spin with the ball in hand to buy herself some more time, which shows how smart of a footballer she is.